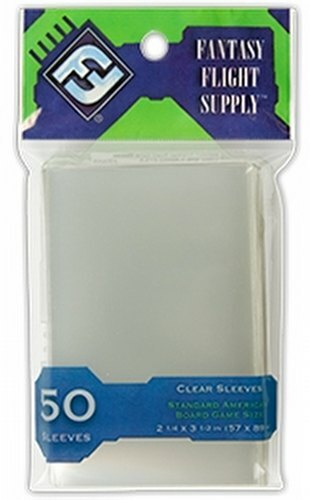 Includes 1 pack of 50 board game sleeves. Sleeves measure 57 x 89 mm (2 1/4 x 3 1/2 inches). These sleeves fit cards from board games such as Citadels, Descent: Journeys in the Dark, Munchkin, War of the Ring, Bohnanza, and others.